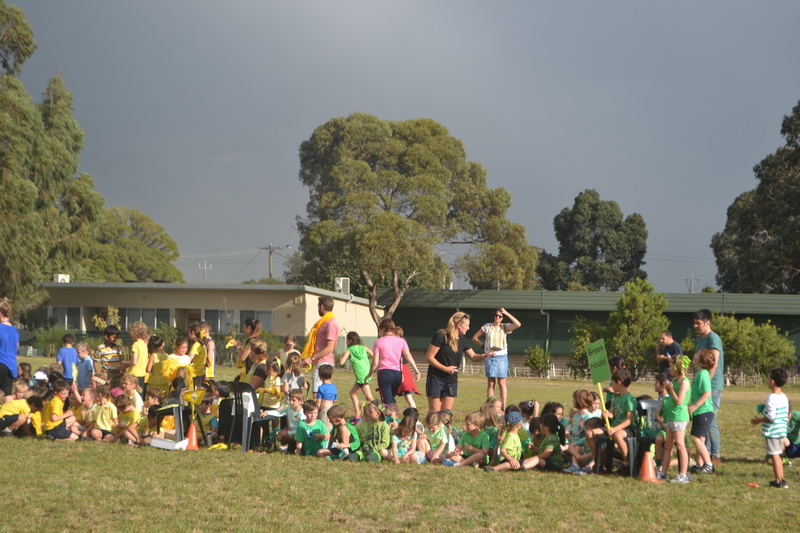 The rain clouds had gathered and it seemed like this year’s Twilight Sports were doomed to be a wash-out. 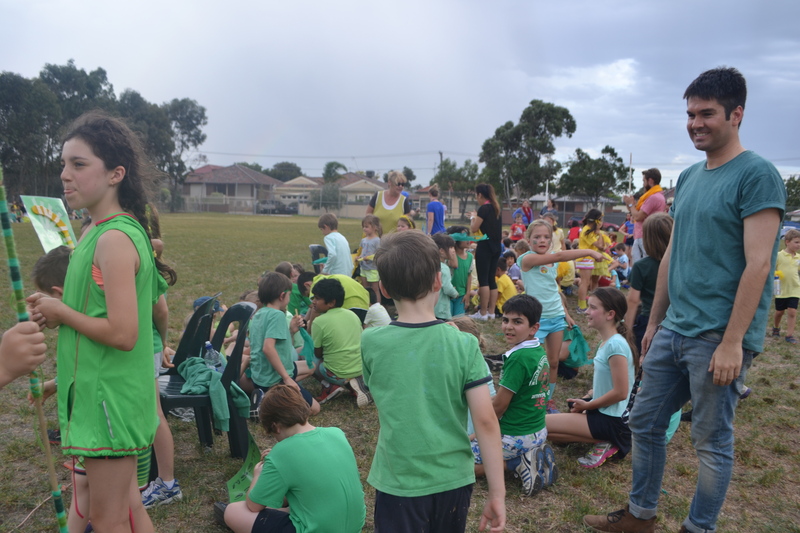 But the weather gods were looking down on Coburg North – or had at least listened to Mrs Zull’s annual proclamation that it never rains for the Twilight Sports – and the night went ahead as planned. 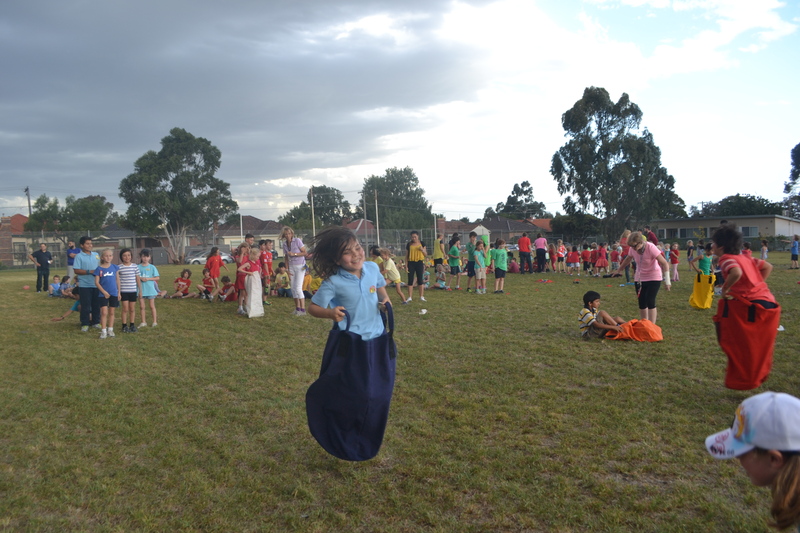 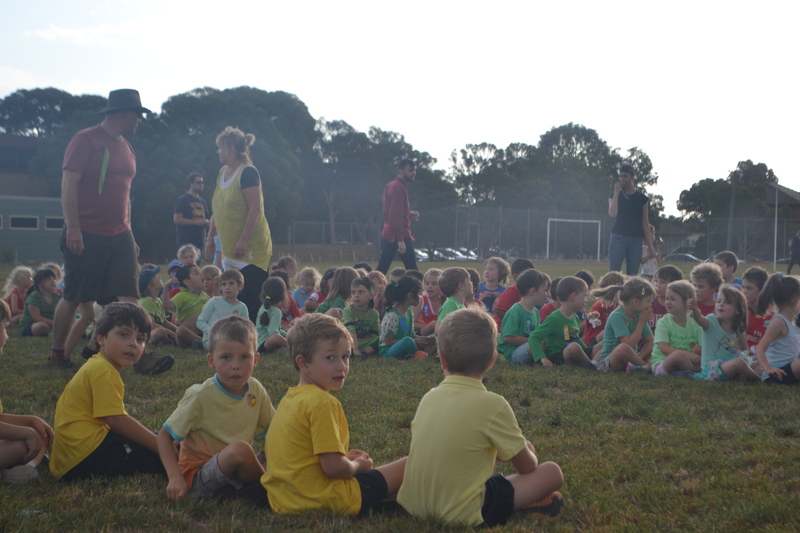 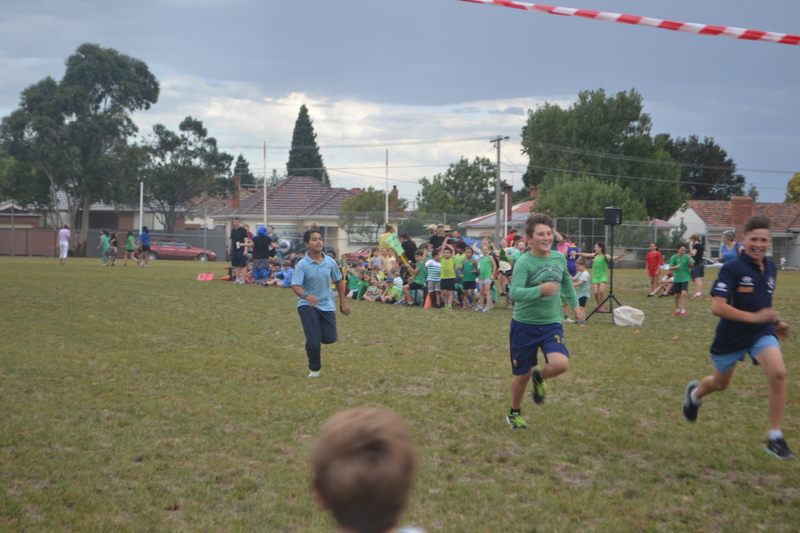 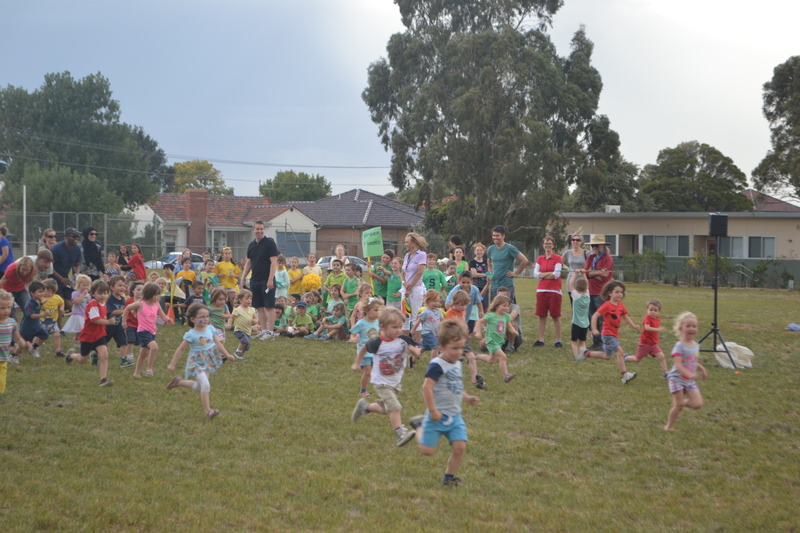 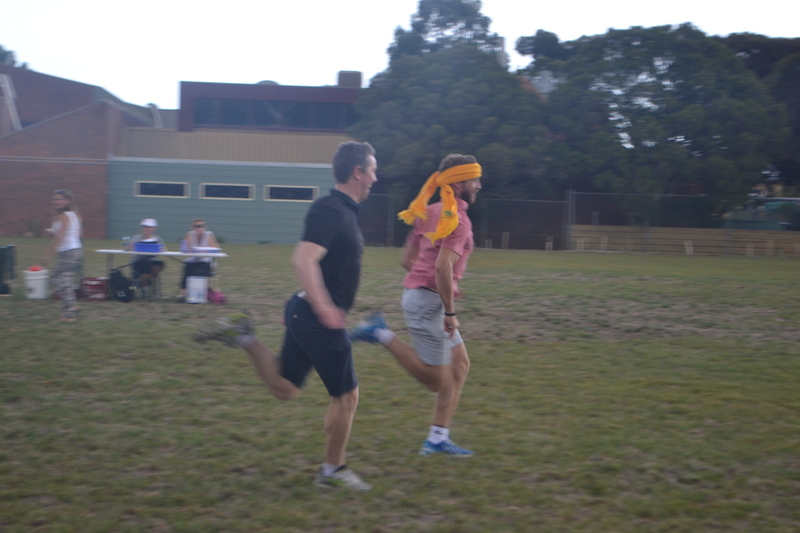 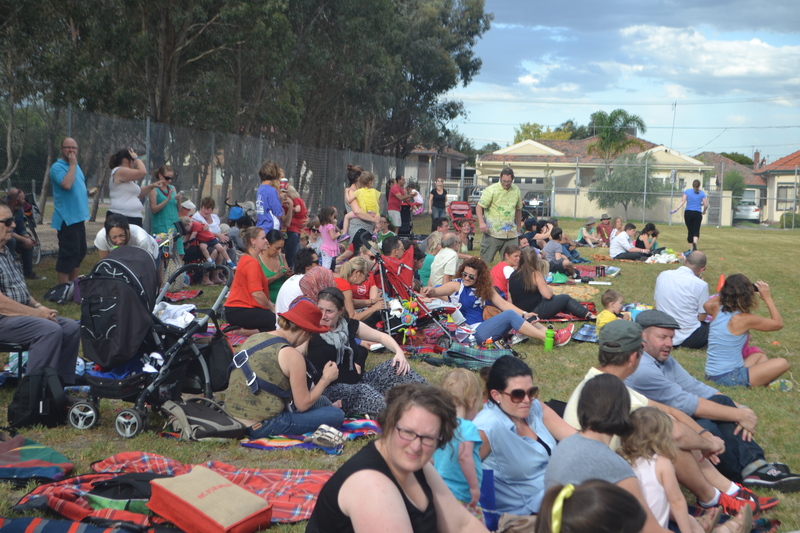 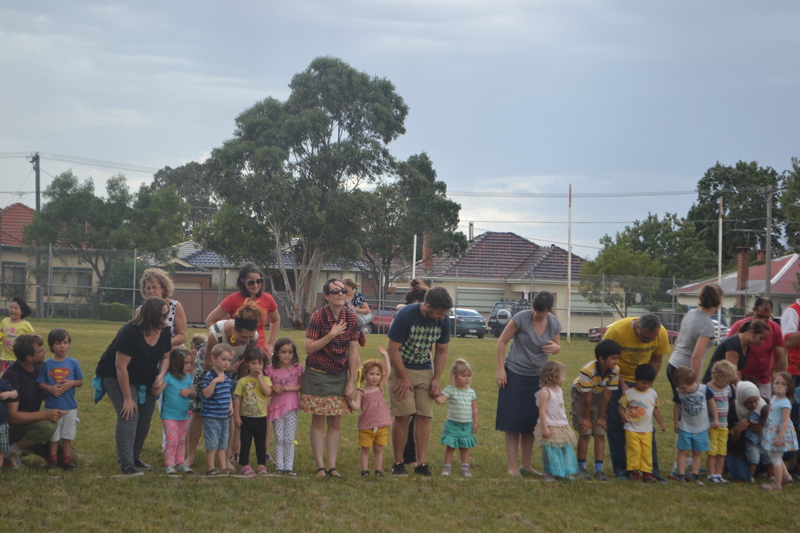 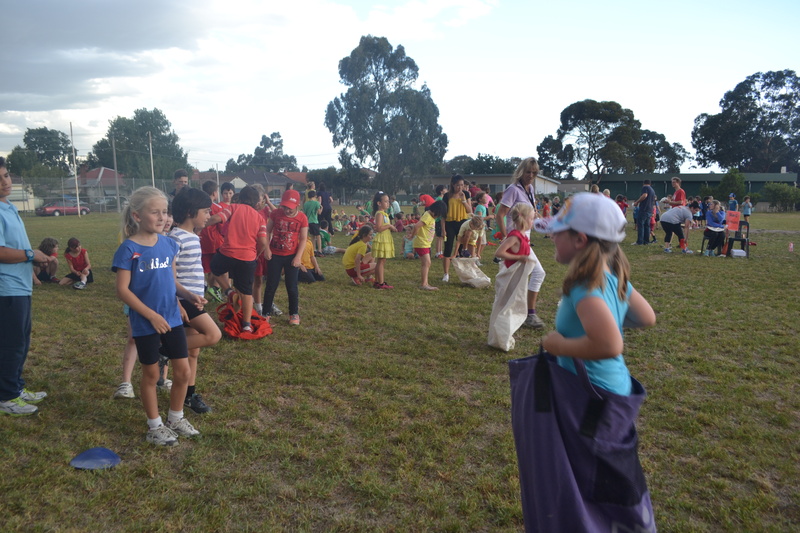 It was a fantastic turn-out of students, parents, family and friends, who were able to enjoy some great performances in the age group, egg and spoon and sack races, while the toddler, father, mother and teachers’ races were hotly contested as usual – with a few new faces joining the winner’s circle this year. 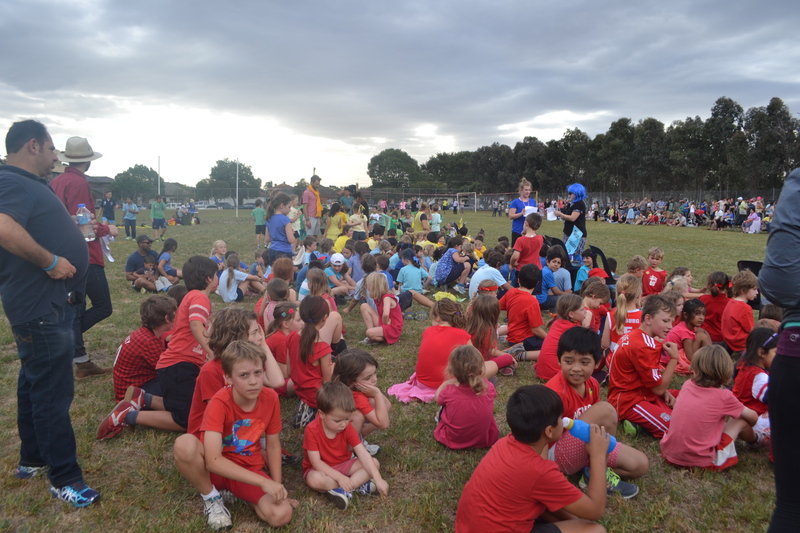 The students, as well as many of the parents, were dressed in their team colours to get into the spirit of the event, as well as adding much-needed colour to the grey evening. 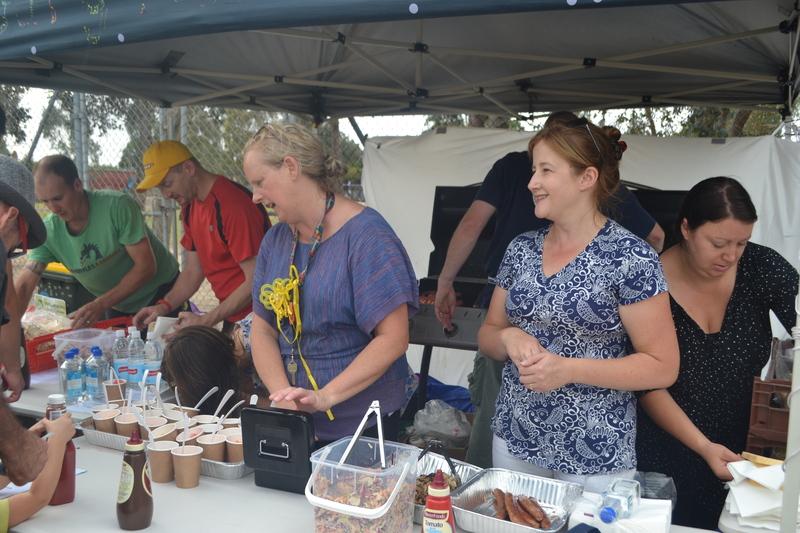 A big thank you to Parents and Friends members Kalissa and Sally and team who ran the barbecue for the event and raised more than $1000 for the school. 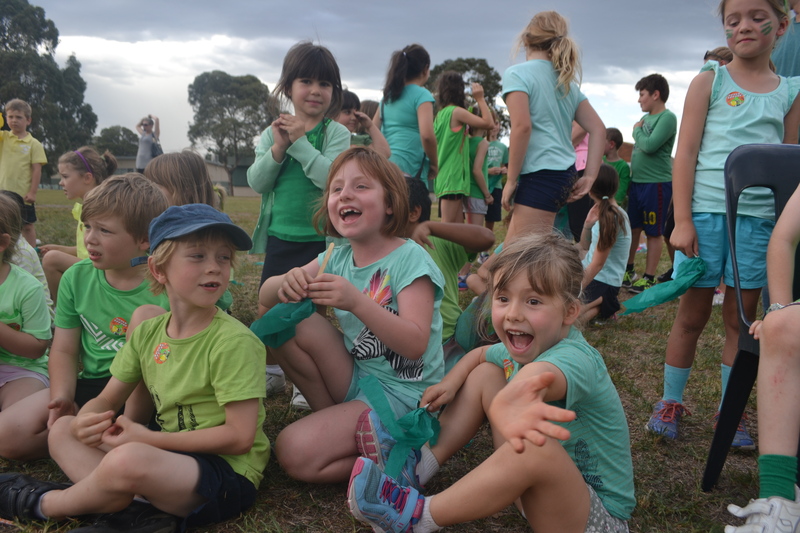 The vegie hamburgers provided by Marco and the team at Little Deer Tracks also got the big thumbs up and we thank them for their great support and sustenance. 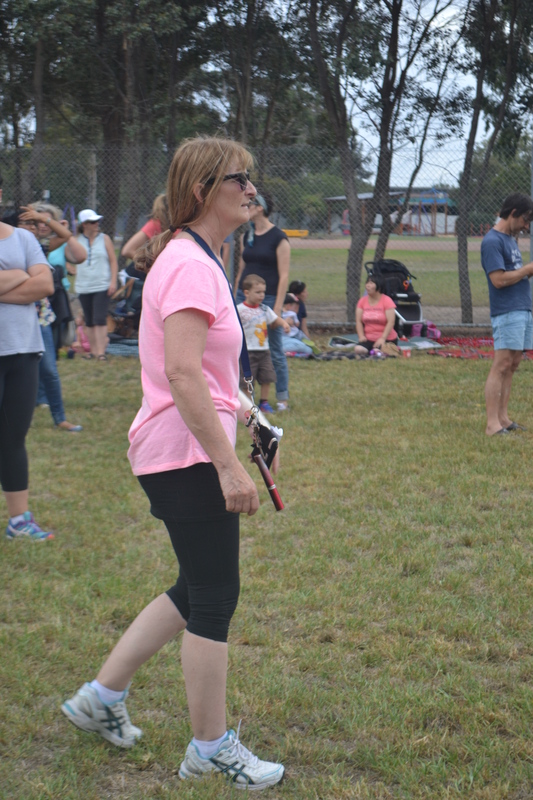 And also a special mention to all the teachers who put so much effort into the event – now, everyone back to training for next year.